Overland Park homeowners add alternative wood blinds to their homes to enjoy the combined benefits of natural aesthetics and convenient modern day materials. 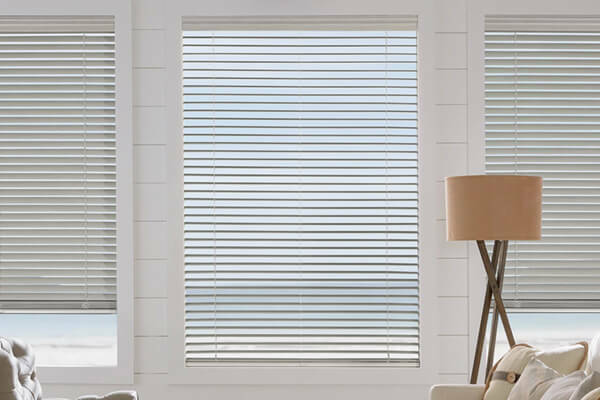 Slat Sizes 2" or 2 1/2"
Widths 7 3/4" to 96"
For classic good looks that never age, consider a smart alternative to regular wood blinds - Everwood® Alternative Wood Blinds. 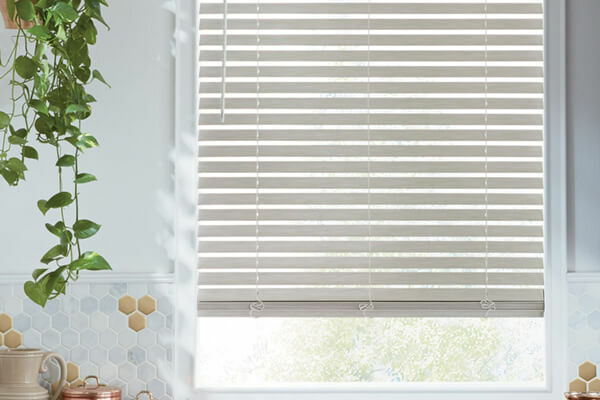 This collection from Hunter Douglas features a wide range of solid color choices, as well as several TruGrain® finish options and decorative upgrades. 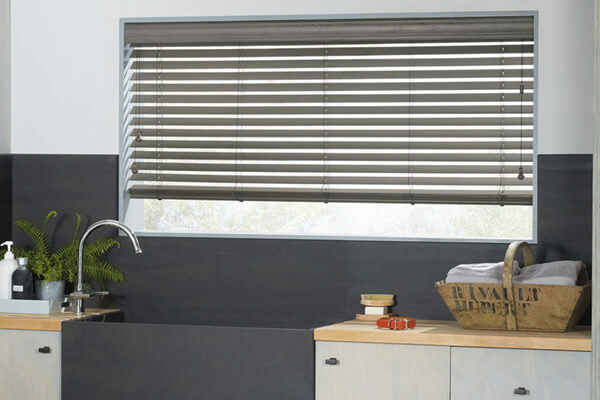 Built to last, they are guaranteed against warping, yellowing, bowing, and fading, making them a suitable choice for rooms with high levels of sunlight of humidity (like your bathroom).